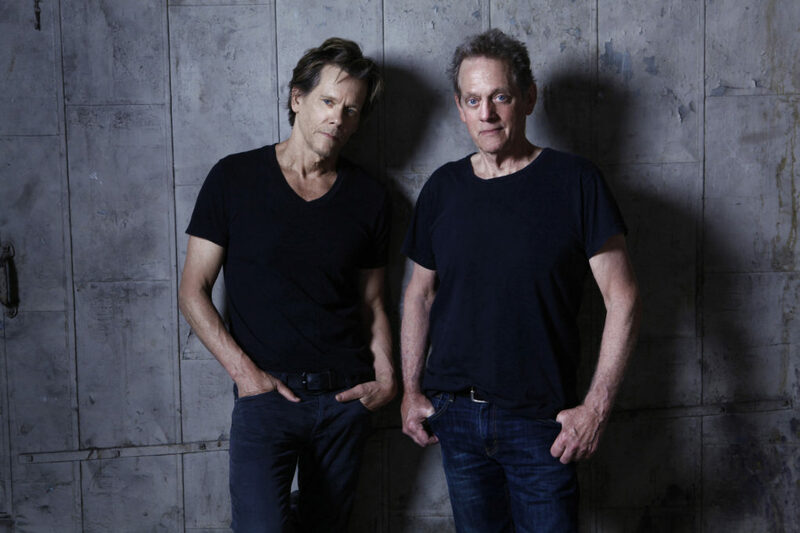 We’re pretty stoked to share our Q&A with brothers and bandmates, Kevin and Michael Bacon, whose band is appropriately named, The Bacon Brothers! 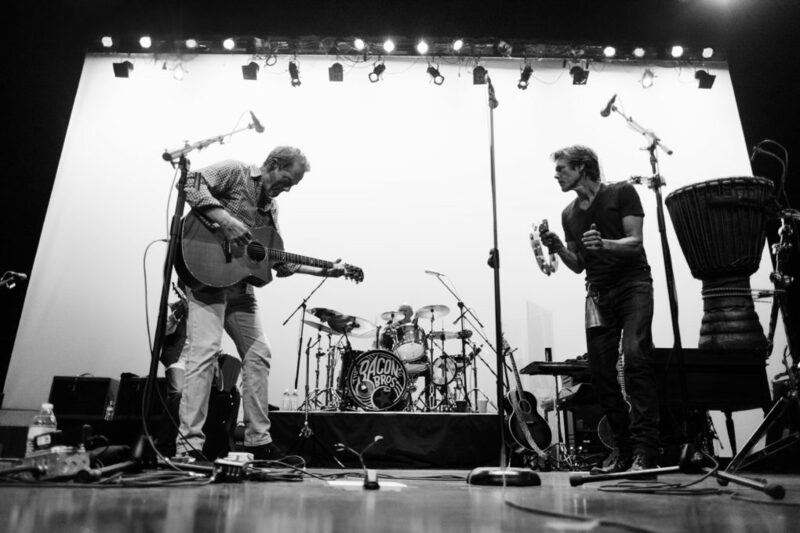 If you haven’t seen one of their shows, we highly recommend it. 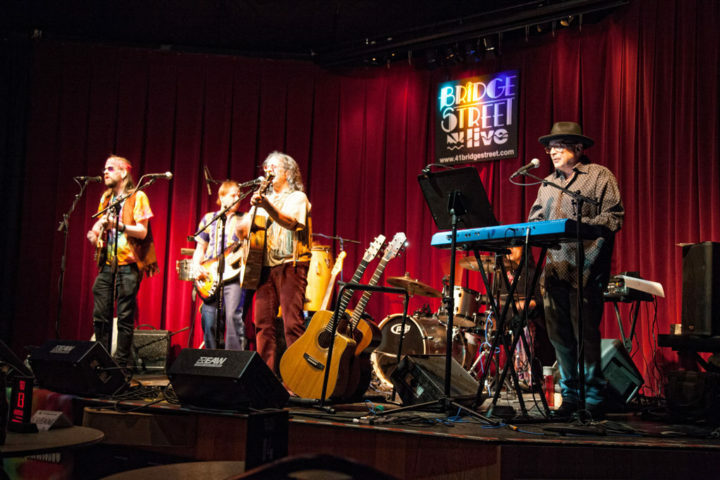 They’re headed to the Ridgefield Playhouse on July 24th (currently on a 40-date tour). Grab your tickets now! What are you excited most about with this 40-date tour? Playing the new tunes. We are doing almost the whole album in the set and that keeps it fresh for us. Your wife and daughter sing on the latest album. Tell us about that experience! In both instances, it was Mike’s idea. “I Feel You” is a road tune about missing the ones we love and the last verse is about when we first met so it made sense to have Kyra harmonize. She was a little nervous because she hasn’t done too much recording although she loves to sing. G.E. Smith produced that song and he was great with her at the session and she killed it. “Broken Glass” was pretty much done and I had the idea for the video and asked Sosie to be in it. Before we shot it Mike suggested that we put her on the song with a kind of floating dreamy part and I recorded her in LA. Then I asked her to improv around the guitar solo to give it some tension. She was great. Ok, be honest. What are you more passionate about – making music or acting? I will never stop acting. When you write songs there is a strong need to play them in front of people. What are your pre or post show rituals? We do a little harmonizing to try and get a blend with the guys. 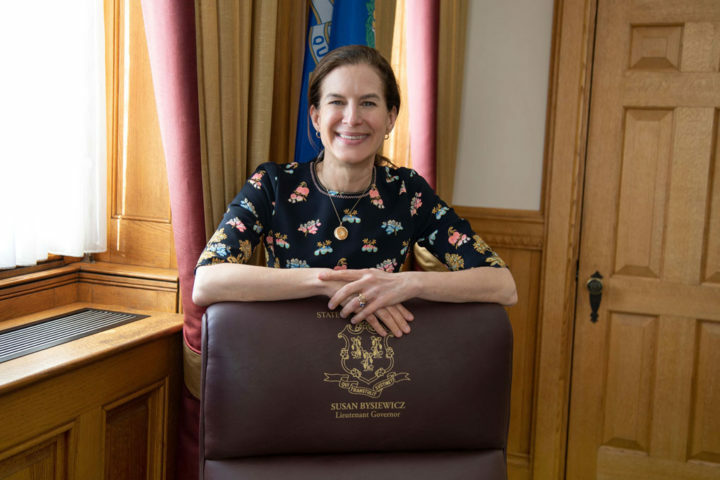 You lived in our neck of the woods for a long time (NWCT)…favorite thing about Connecticut? Sometimes he misses texts and emails. But in some ways, I wish I was more relaxed about that stuff. Lots of new songs, more integration of cello with my “composer” side with my rock side. What’s your must-have to bring along on tour? My mobile recording/composing rig so I can work on the road. 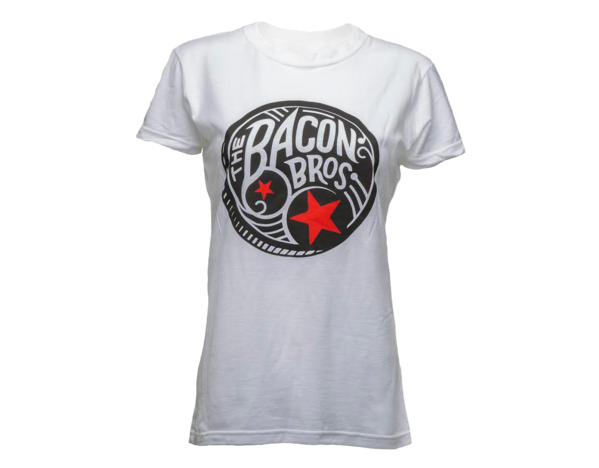 Describe The Bacon Brothers music to someone who’s never heard it. We are songwriters first and we sink or swim on the songs. We’re all over the place as the songs drive the arrangements, not the sound of the band driving the songs. When you’re not working or touring, what are you doing? Trying to get to our camp in the Adirondacks. Hiding my stuff so I’ll forget it. Your favorite way to listen to music? Headphones? Blasting in the car? Records? I trust my studio speakers the most! 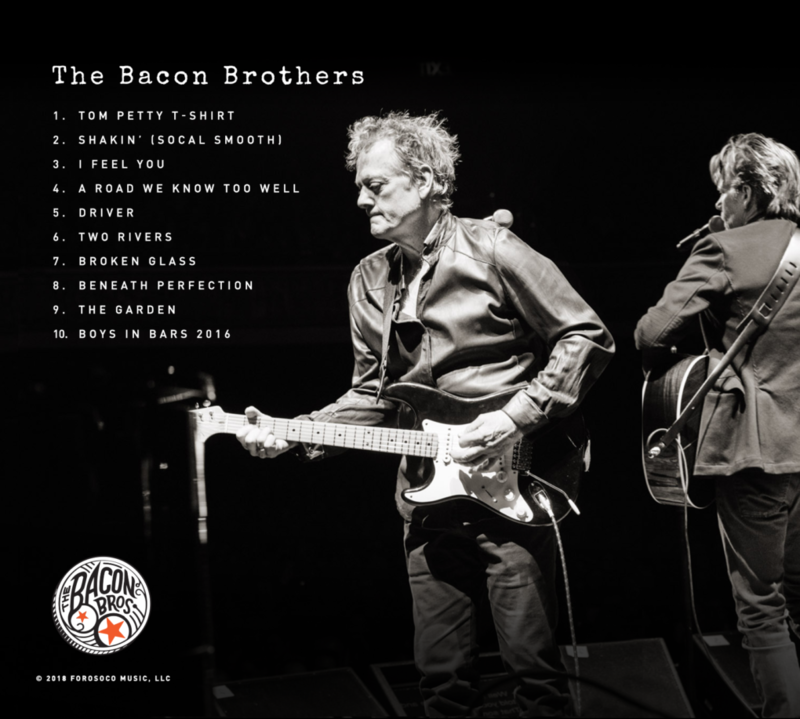 Their latest CD, The Bacon Brothers, is now available. And, bonus…you can get an autographed copy by heading to their website here. 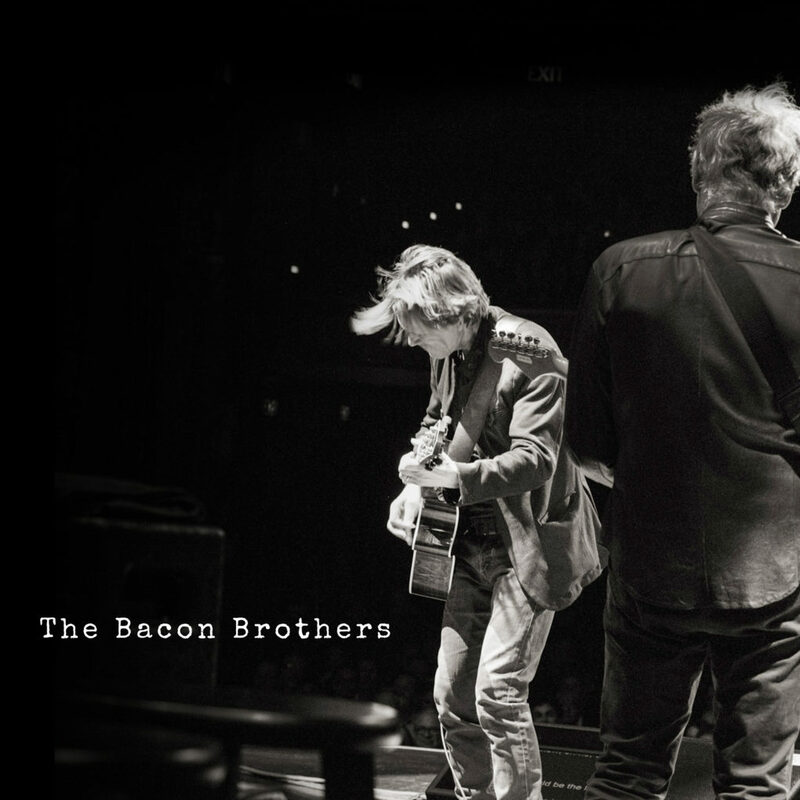 Visit The Bacon Brothers’ website here and buy tickets here! Photos used with permission from Devious Planet.